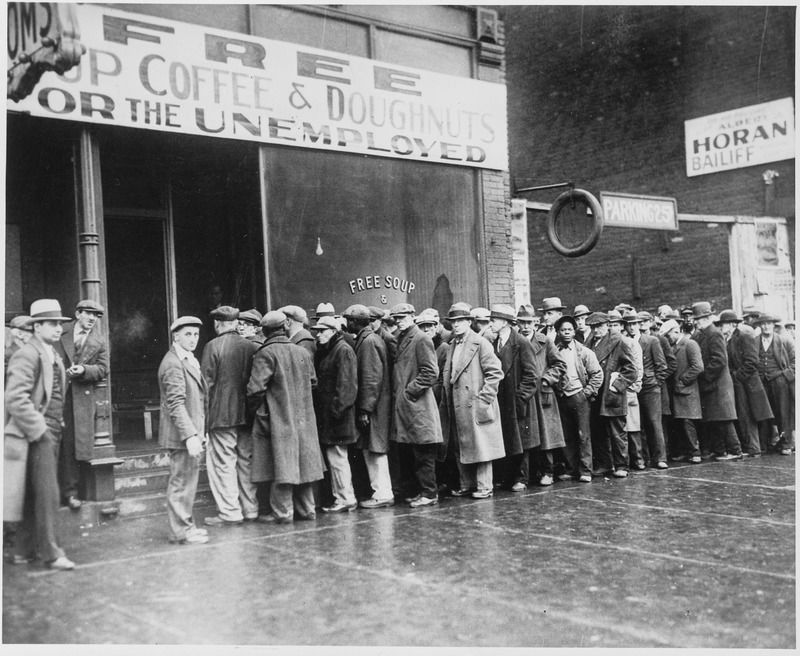 About a quarter of the American workforce was unemployed at the lowest point of the Great Depression. When families were unable to afford food for themselves, charities often provided free meals. Al Capone, a leading organized crime figure, provided this soup kitchen in Chicago, IL, during the Depression. 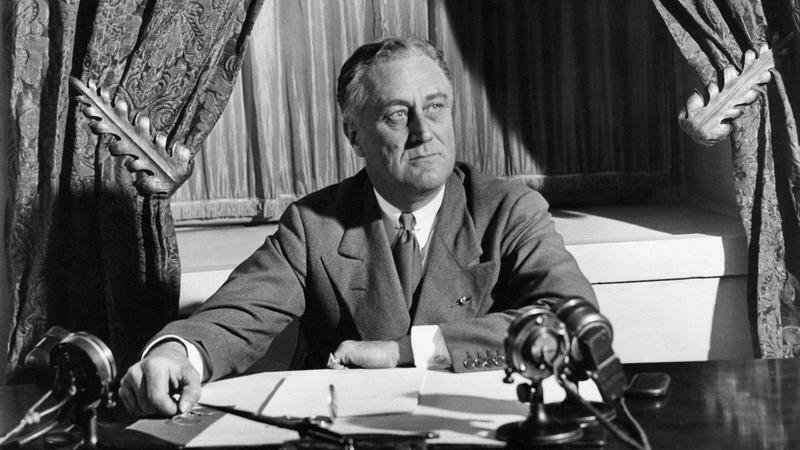 During his presidency, Franklin Roosevelt gave several radio addresses to explain his policies and government programs, which became known as “fireside chats.” Roosevelt is preparing to give his first fireside chat in March 1933, just after he took office, to discuss the banking crisis. How does the federal government influence where you live? The American economy was in crisis in the 1930s. The Great Depression reached its lowest point just as Franklin Roosevelt took office in 1933. Scores of banks were failing and Roosevelt declared a bank holiday to help prevent bank runs. Home finance was a key factor in the economic crisis—approximately a third of all home mortgages were in default. The U.S. Congress took action to rescue the housing sector in the Depression and restructure the mortgage market after the crisis. It created two agencies, the Home Owners’ Loan Corporation (HOLC) and the Federal Housing Administration (FHA), to do it. HOLC refinanced nearly a million mortgages and FHA created home ownership subsidies that exist to this day. These agencies resuscitated home finance and, by extension, home construction, and reshaped the housing market for the rest of the century. In part, government officials used new economic research and social science thinking, and put resources behind enduring ideas about exclusion. Real estate leaders of the era prioritized the value of white-owned property and emphasized the financial value of separation between races, neighborhood by neighborhood.